There is no upper limit for SSK members’ age, children membrs’ age is more appropriate to be 4 or above. 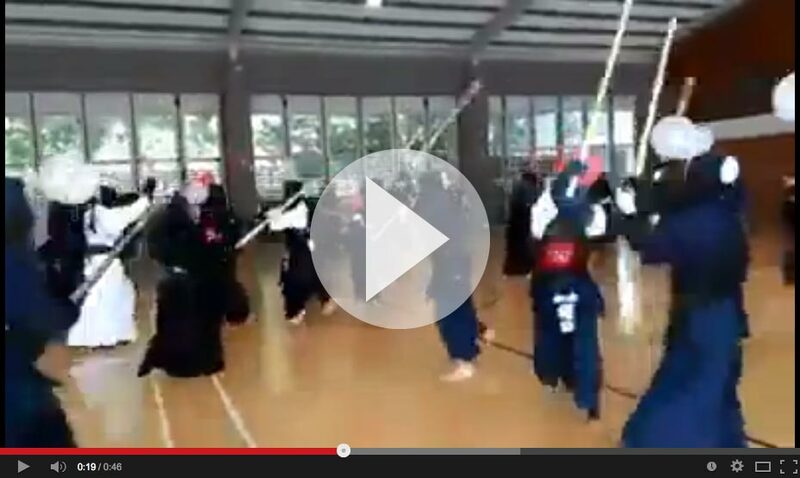 New SSK members can wear casual sportswear to practice and no need to wear formal kendo wear (i.e. Gi and Hakama) at the moment. For the shinai (bamboo sword) that needed to be used in practice, SSK can help buying on behalf of the members, or members may buy it on their own. Beginners should persevere in continous practice. 1. Beginners only require to have general sports wear and a shinai (bamboo sword). 2. After a period of practice,members should have formal kendo wear (i.e. Gi and Hakama) instead, SSK can help buying on behalf of the member. After further practice period and as observed by senseis, members would be suggested to have bogu (armor) for continous practice. The bogu can also be ordered by SSK on behalf of the member. For members with bogu, they should prepare at least two or more shinais for practicing.